Perry bed and breakfast travel guide for romantic, historic and adventure b&b's. 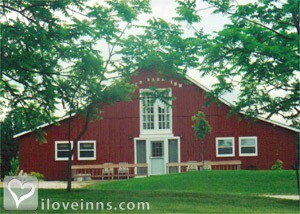 Browse through the iLoveInns.com database of Perry, Missouri bed and breakfasts and country inns to find detailed listings that include room rates, special deals and area activities. You can click on the 'check rates and availability' button to contact the innkeeper. Only a few minutes from the famous Mark Twain Lake, the town of Perry has been tagged as the Southern Gateway to the popular lake. Perry has a considerably low population and it is the kind of community where everybody knows everyone, making it a fine town to live in but despite its population size, Perry has amenities and services at par with the other much bigger towns. Retail stores, industrial enterprises, and commercial businesses such as the many Perry bed and breakfast inns cater to the almost two million visitors Mark Twain Lake has each year. Come visit Perry for its diverse outdoor activities which include of course lake recreation attractions such as boating and fishing. On land, downtown Perry has revived many of its old buildings and has transformed them into specialty and antique shops where you can scout for collectibles to your heart's content, Perry being a town rich in history. By Kennedy's Red Barn Inn.